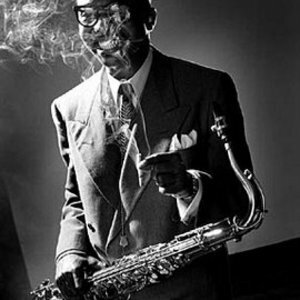 James Moody (March 26, 1925 - December 9, 2010) was a jazz saxophone and flute player. He was born in Savannah, Georgia. As he grew up in New Jersey, he was attracted to the saxophone after hearing Buddy Tate, Don Byas, and Count Basie. He recorded his first album for Blue Note Records in 1948. He is best known for his hit "Moody's Mood for Love," an improvisation based on I'm in the Mood for Love. He often played with Dizzy Gillespie and worked with Mike Longo. He was an active member of the Baha'i Faith. Moody passed away at a hospice in San Diego, survived by his wife Linda and three sons.